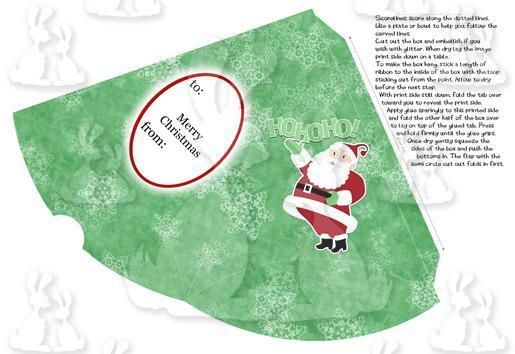 A triangle shaped pillow box in a Christmas design. This box can be made to hang from a Christmas Tree and can contain sweets or small gifts. Box is approx 18cms long by 13.5cms wide. Includes written instructions on construction.